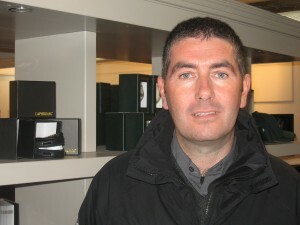 John Campbell, manager of Laphroaig Distillery. Age 41, Islay born and bred, systematically minded, charming, personally reserved, plant manager and worldwide Laphroaig ambassador. A couple of weeks ago I met with John and I asked him how it all began. Did he have a game plan away back in the day, when he was a young swashbuckling Port Ellen fisherman? No, no game plan ~ when he was 24 a job came up in the warehouse and he decided to take it as it was steadier work than being at sea. When John started in Laphroaig there were no official tours, now there are over 17,000 visitors a year. They have the internet and the shop. 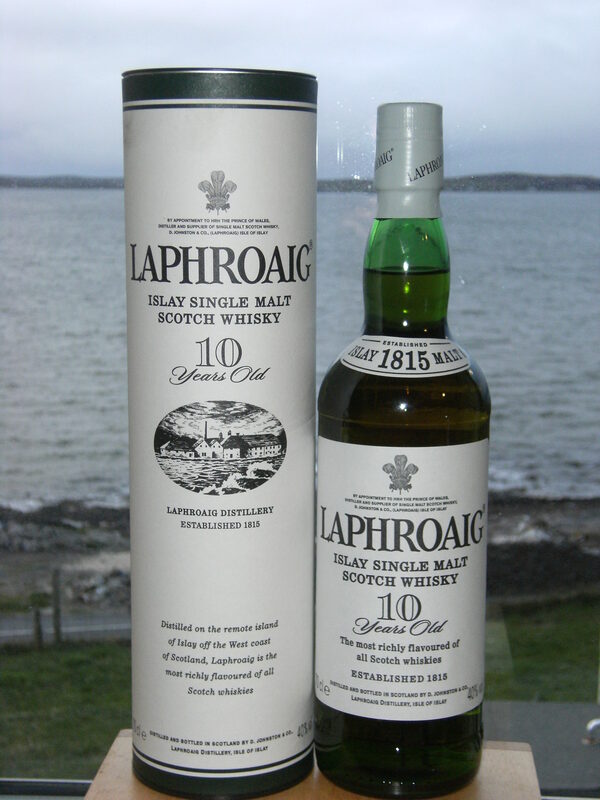 They have Friends of Laphroaig, which has nearly half a million members! John Campbell is the official face of Laphroaig Distillery. He is in numerous videos on the website, he has a facebook page with hundreds of friends, he runs a twitter account. He embraces modern social media in his role as manager, yet advocates an old fashioned, rather gentlemanly approach within the industry, no one would ever put down a competitor to get a sale, he told me. In this day and age where we are so used to mud slinging against ones competitors, an attitude like this is notable. Making sure that the site is legal. Health and safety,we have a responsibility to the people on site, also to the people who drink Laphroaig, keeping in line with legislation in packaging and so forth. A very prosaic answer; but John said, if these legal requirements arent met, then the plant closes, and that is the last thing anyone wants! For Beam Inc. (and Laphroaig drinkers) the most important thing is keeping the distillery going. – Who owns Laphroaig Distillery? My next question was, what are your aims for Laphroaig? To increase productivity, to meet more of the people who drink Laphroaig and to help others in the team develop their potential. Which is probably all true, but a bit of a PR answer, I felt. However, the answer to my next question was not what I expected, and I thought it was a great way of looking at things. I asked John, whom do you admire in the industry? I thought he would say one of the great blenders or some celebrity figure in the whisky world. No. His answer was; the people who make the whisky. 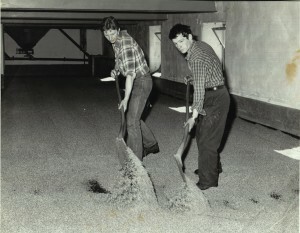 James McGregor and people like him who have worked here for years and given their life making Laphroaig whisky what it is today. 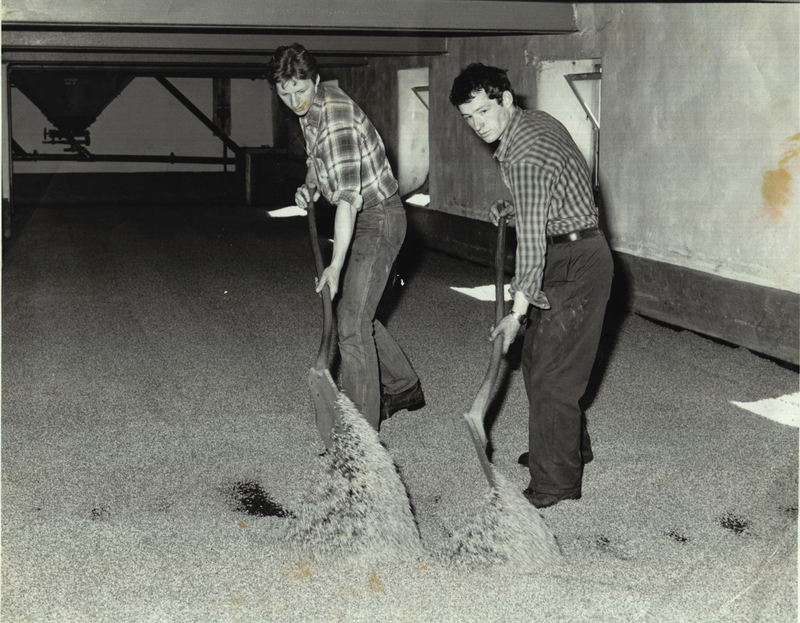 James has worked here for 36 years, Laphroaig has 3 or 4 people who have given over 30 years service to the industry. These are the people who are important. Much more important than any famous name. A great answer I thought, and a real one! – What is the first thing you do when you come into the distillery in the morning? – Whats the best part of your job? The scope. One day I can be woken at 3am to attend to a problem with a broken waste pipe, the next I can be doing a whiskylive show in Australia for Friends of Laphroaig. – Is this a dream job? Yes, it ended up this way, being from the island and Laphroaig being one of the top 5 global malts, yes, definitely a dream job! – Is the pay good? Yes, and no. Overall ok, but you put in a lot of hours being a distillery manager. Im not complaining. what is the secret of a good dram? Depth of flavour. Layers of flavour, its like peeling an onion, layers behind layers. and I asked – whats your favourite dram? Laphroaig 10 year old, he said. I asked John if whisky was a political force in Scotland, yes, it can be. It means such a lot to the economy. On Islay, it is one of the reasons we have two ferries. John Campbell has a political understanding of the development of Laphroaigs place in the economic expansion of the Scottish Whisky industry. When I asked him where he saw the industry heading, he said, we are targeting emerging economies, but doing it as an industry, as the Scottish whisky industry, not individually. We will expand our markets in Brazil, India and China. People there are already familiar with, and like brown spirits. Whisky appeals to them. – What are the best skills, attributes, qualifications needed to help people do well in this industry? To be open, hard working and flexible. To have good life skills. – What advice can you give to Whisky for Girls, I asked. Dont feel intimidated at all, whisky is for men AND women! Sweden for a 3 day booze cruise. 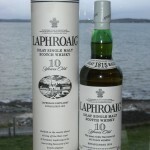 ~ being manager of Laphroaig Distillery certainly sounds like a dream job to me!